The Money Ways » Debt » Should You Refinance Your Mortgage or Not? The question can be a balancing act of fees and costs of refinancing versus the savings achieved through a change in interest rate on your debt. It can be a matter of readjusting the length of your mortgage to reflect major changes in household income. In the case of a decline in market interest rates, refinancing can save you tens of thousands of dollars by bringing down the overall cost of borrowing. Similarly, if you have an adjustable rate mortgage (ARM) refinancing and obtaining a fixed-rate mortgage can eliminate the uncertainty of ever-changing market interest rates. Refinancing can be a great advantage for borrowers who had poor credit history when they took out their mortgage and qualified only for a subprime loan. Subprime loans are offered to borrowers who are considered a lending risk due to bad credit and carry a much higher interest rate. If a subprime borrower has stayed current on payments, the increased credit score could qualify for a lower interest rate. Refinancing also enables borrowers to readjust the length of a mortgage according to their ability to pay. If a couple with a 30 year mortgage can afford to repay the debt sooner than anticipated, they may reduce the payment period to 15 years to reduce the long-term cost of borrowing. For those who signed on for 15 year mortgages and now find the payments unmanageable, refinancing to a 30 year mortgage lowers month payments and can allow the borrower to remain in his or her home rather than facing potential foreclosure. One of the major costs of refinancing is closing costs. Two to three percent of the total loan amount is typical, but it may be as high as five percent for those with poor credit. Closing costs and the length of time that you plan to stay in your house determine whether refinancing will be worthwhile for you. The savings of a lower interest rate may not recoup the costs of refinancing until after a year or two of lower payments. If you plan to sell the house within that time period, refinancing is probably not worth the cost. However, if you do intend to stay in the house for the long term, the savings of a lower interest rate continues to accumulate over the life of the loan. Considering refinancing will require some math and logical reasoning, but it doesn’t have to be rocket science. A general rule of thumb is to consider refinancing if the interest rate on your mortgage is at least one percent higher than the prevailing market rate. Your specific numbers vary based on factors like the length of your mortgage, what you can afford to pay each month and how long you intend to stay in your house. MSN Money has a useful refinancing calculator that can help you answer the question: to refinance or not to refinance? It will all depend on the overall situation. If the current rates are lower than when you purchased the property, this is a big factor. When your interest is more than 5.5% on the mortgage, this is a good time to consider refinancing, especially if this is less than 10 years, and if you’re planning to live in this house for at least two years. Before you refinance, know where you stand with your current mortgage – including the loan terms and interest rate, as well as relevant factors such as your credit score and whether or not the loan has a prepayment penalty. 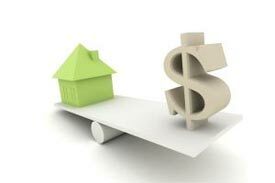 The challenges of refinancing today is that everybody wants the best interest rate. For example, in Sonoma County, California approximately 50 miles north of San Francisco, the best and lowest sonoma county mortgage rates are only available to those who have the most pristine credit scenarios. We’re talking primarily as and, 75% loan to value or lower, rate and term financing, allowing the lender to have an account set up for monthly taxes and insurance, a debt to income ratio 45% or lower and a credit score of at least 780 or better. Unfortunately the majority of the borrowers today have credit scores between 680 and 700. Those scores are good for four refinancing but those folks will be paying a good .3752 .5% higher in rate despite what they’ll see advertised online. Every situation is different with mortgages. There are not two that are identical. Make sure you look over all of the numbers to make sure that refinancing is the best option for you. What works for one person may not work for you. When searching for a discount mortgage make sure to do your homework. Closing costs is a major problem for many home owners who want to refinance. Most people who want to refinance need to do it to reduce their monthly mortgage payments because they can’t afford them. Unfortunately though, the closing costs aren’t possible for them to pay. A good solution is to check with the local government where you live for housing assistance. Some program will pay for closing costs when refinancing to help home owners stay home owners. If you still need a money to buy a house then the advisable thing that you should do is to refinance your mortgage but make sure that you have a good credit history to have a fix interest rate. I agree with Amy’s point about the individual circumstances, there are are so many factors that could affect your decision. The 5.5% rule is good, especially as within the last 10 years more and more affordable mortgages are now available. It’s a good idea to reconsider your options every few years to ensure you are not losing out on the latest rates.